“The sky broke like an egg into full sunset and the water caught fire." 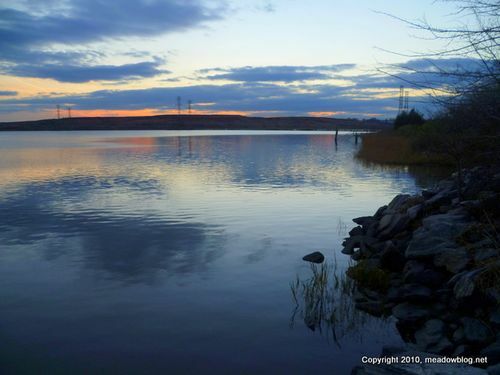 Although the New Jersey Meadowlands Commission’s DeKorte Park offers a lot of great nature programs, two daily shows too often get overlooked: sunrise and sunset. And while it’s human nature to bemoan the fact that the daylight hours are now growing shorter, the good news is that you don’t have to get up as early or visit DeKorte as late in the day to get spectacular shots – weather permitting, of course. What makes DeKorte a prime spot for great dawns and dusks is the sunlight reflecting off the water. Here are a few tips to get the best shots. Rule No. 1: You need a nice mix of sun and clouds. No sun, and the sky looks like milk of magnesia. Too much sun, and you’ve got a plain old sunrise or sunset. But get just the right mix and … Bingo. Rule No. 2: Remember the old saying, “It’s always darkest before the dawn”? While that may be true in a metaphoric sense (especially if you are an eternal optimist), the fact is that sometimes the best sunrise shots occurs before the sun appears on the southeastern horizon. That’s because the as-yet-unseen sun is bouncing off the clouds. The year 2010 marked the New Jersey Meadowlands Commission's 41th anniversary and the continued expansion of our nature programs with Bergen County Audubon Society — including an Earth Day Celebration, a Kearny Marsh Cleanup, a Butterfly Day, a "Green Friday" nature walk, and a talk by Scott Weidensaul. We thought we'd celebrate by looking back at 2010, month by month. 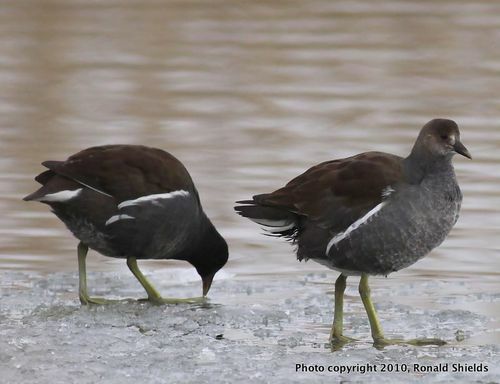 January 9: DeKorte Is Named a Birders World "Birding Hot Spot"